It’s become all too easy to criticise Etihad Airways in the last couple of years. 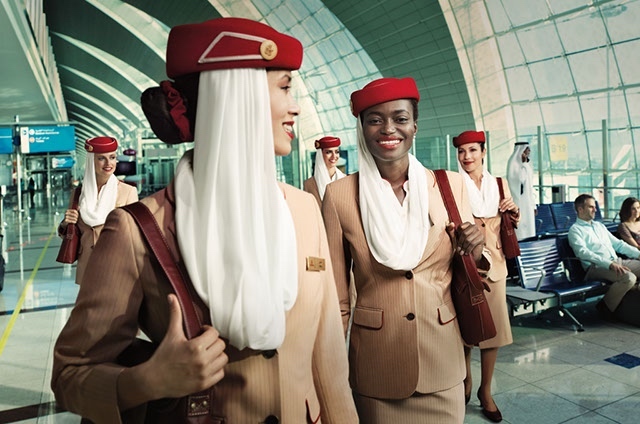 A disastrous equity investment strategy has resulted in the Abu Dhabi-based airline posting huge losses which not even Etihad’s deep-pocketed owners in the oil-rich emirate could sustain. After years of passenger friendly investment things have taken a dramatic turn. Etihad has been forced to slash costs and has turned to money-making initiatives that would be more at home at a low-cost carrier. Nothing has appeared too sacred – like the generous chauffeur drive service for premium passengers which was removed from outstations and is now only offered in the airline’s home city. Elsewhere, frequent passengers have bemoaned an apparent downgrade in the onboard food and beverage service and a variety of new charges have been introduced across the airline’s cabins. Etihad has even dreamt up new services and products to tempt passengers to part with even more cash. As well as paying to select your seat in advance, Economy Class passengers might even be expected to pay for a spare extra seat when the plane isn’t full. A live upgrade auction has recently gone live and passengers can even buy snacks, premium drinks and Christian Lacroix-branded amenity kits and sleepwear. In many ways, Etihad is simply introducing the same kinds of charges and value-added services that many international airlines have offered for years. Even Emirates charges Economy Class passengers for advanced seat selection. In some respects, Etihad’s focus in this area might even see competitors copying them in the future. But it’s great to see that Etihad is also investing in its core passenger experience and with that in mind customers in Business and First Class will soon be enjoying premium amenities from the iconic Italian fragrance house Acqua di Parma. The classic and much-loved signature Colonia fragrance has remained unchanged for 102 years and will be enjoyed in both cabins. A unisex fragrance with a fresh burst of Sicilian citrus fruits and woody notes of vetiver, sandalwood and patchouli. The brand dates back to 1916 when the company was founded in the historic city of Parma in Northern Italy. It’s said that the Colonia scent was made famous after becoming a favourite of A-List Hollywood actors including Ava Gardner, Cary Grant and Audrey Hepburn. “Acqua di Parma is universal in its appeal, effortlessly combining, traditional know-how, craftsmanship and innovation with a modern Italian, yet very international flair,” explained Linda Celestino, Etihad’s head of guest experience. So how far does the partnership go at the moment? Etihad has actually been working with Acqua di Parma since 2014 when the airline started to offer its products in the exclusive and ultra-luxe Residence class on its Airbus A380 aircraft. While passengers travelling in the Residence will be offered Colonia Pura for men and Magnolia Nobile for women, the classic and unisex Colonia scent will be offered in both First and Business Class. A 50ml bottle of Colonia retails at $110 USD. The products will also be available in the First Class lounge at Abu Dhabi International Airport. In recent weeks, Etihad has also upgraded its in-flight sleepwear with a new range created by a young Emirati designer exclusively for First Class passengers on long-haul flights.